​Board and Train your new puppy with Jeanette Holloway, KPA at her home for two weeks. She'll teach basic foundation skills and then meet with you afterwards to go over everything taught. Select classes from the tab above, and then fill out the Board & Train request. Simply click on the Submit button when finished and your information will be automatically sent to us. We'll contact you with 2 business days to discuss. Our "Board and Train" program comes with a "Life of your Dog Guaranty". You're welcome to attend any future group classes for free for the life of your dog. This gives you the opportunity to refresh any of the foundation skills taught during the board and train. We also offer training for those living in the Cartersville, GA area. We'll come and work with you at your place of residence. Please give us a call at 404-925-6639. ​ Register now under the classes tab above. Hi, I'm Chris Bowling, KPA-CTP, and this is LC (Lady Charlotte). Lost Mountain Dog Training is located in West Cobb County just northwest of Atlanta, GA. Our training methods are positive based which we think benefits not only the dog, but also the owner. Teaching foundation skills are essential, so we'll begin working with puppies as old as 8 weeks. We can also provide your dog with basic, intermediate or advanced training; and those who would like their dog trained as a therapy dog. Lost Mountain Dog Training, LLC is a "Certified Training Partner" of the Karen Pryor Academy for Professional Dog Training and Behavior. We get results quickly by rewarding your dog for offering an appropriate behavior, and then pairing a cue word with the behavior. Rewards can be praise, toys or some of their favorite food treats. The food rewards are quickly phased out as your dog learns the behavior. I believe the results are positive for the owner and the dog, and a bond is created for a lifetime of companionship. Lost Mountain Dog Training is used the Atlanta Adopt A Golden Rescue. We perform Home Checks for AGA in the West Cobb / East Paulding areas, so we can help find great new homes for Golden Retrievers in need of loving families. Please consider Adopting a Golden. Lost Mountain Dog Training, LLC is an official evaluator for the AKC Canine Good Citizen and S.T.A.R. Puppy programs. 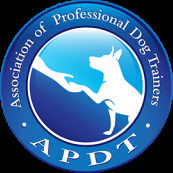 We can provide you, and your dog or puppy, the training needed to pass either test. Training is fun and can involve the entire family. We serve the surrounding areas of Northwest Atlanta, GA which include: Dallas, Kennesaw, West Marietta, Powder Springs, Austell, Hiram, and Acworth. We'll come to your location and work with you and your dog within the privacy of your home, local neighborhood or parks, or join one of our group classes available at Brookstone Animal Hospital on Monday and Wednesday evenings. MISSION STATEMENT: We are Canine Behavior & Training Specialists whose primary goal is training with respect, consistency and trust. We strive to strengthen the bond between you and your dog through positive teaching and communication methods for a lifetime of companionship. Located in West Cobb County near Lost Mountain and Dallas Hwy. Follow us on Facebook where you can see client reviews and posts.